LONDON – Monday 14 August 2017. – Big Light Productions has selected the first winner from the prestigious ‘Serial Eyes’ postgraduate television training programme for its new apprenticeship programme, it was announced today by Big Light CEO Frank Spotnitz. 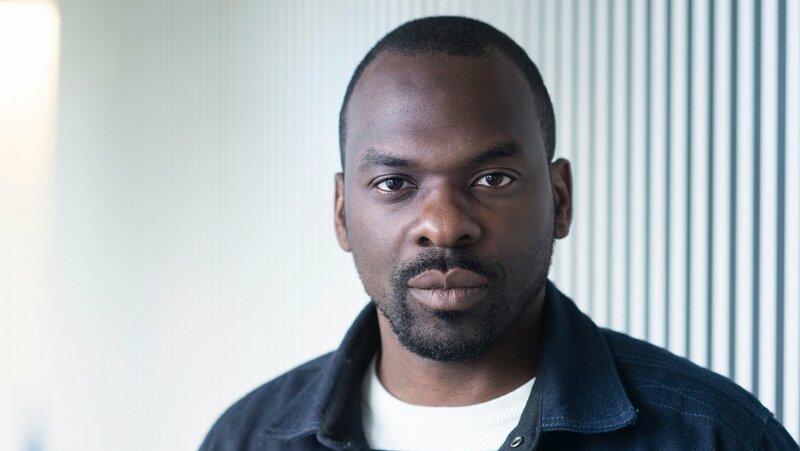 Screenwriter Ruddy-Williams Kabuiku will spend three months at the London offices of the London- and Paris-based production company, observing series development and the intensive writers room process that Big Light has pioneered in Europe. Serial Eyes, about to begin its fifth year, is a European postgraduate training programme for television writers and producers based at the DFFB in Berlin. Ruddy-Williams Kabuiku, a graduate from the University Charles de Gaulle Lille 3, was selected from among a dozen graduates of the Class of 2016-2017. ‘Frank and his team have been committed to providing our participants with first-hand knowledge of the writers’ room experience from Day 1. With this apprenticeship, they expand this training beyond the classroom and offer an important transition to the professional world,’ said Benjamin Harris, the Head of Programme for Serial Eyes. Kabuiku graduated from the University Charles de Gaulle Lille 3 in Arts Media and Communication (BA). He then settled in Canada where he studied screenwriting at Langara College. Back in France, he co-directed the documentary L’amour en cité. Currently, he’s developing various TV series, web series and documentaries for a number of production companies. The apprenticeship comes with a €9000 bursary. Big Light’s projects include the critically acclaimed and Emmy-award winning Amazon drama series The Man in the High Castle; Medici: Masters of Florence, a Netflix Original Series which set viewing records on Rai1 in Italy and is currently shooting its second season; Ransom, broadcast on CBS in the U.S., Corus’s Global in Canada and TF1 in France;and the forthcoming The Indian Detective, a Netflix Original Series. Spotnitz’s credits also include eight seasons of the Peabody, Emmy and Golden Globe Award-winning series The X-Files and its two feature films; Hunted; Strike Back; Night Stalker; Robbery Homicide Division; The Lone Gunmen; Harsh Realm, and Millennium. Serial Eyes is Europe’s premier postgraduate training programme for TV writers and producers, and is funded by the EU Commission’s Creative Europe-MEDIA initiative. The full-time course takes place in Berlin at Deutsche Film- und Fernsehakademie Berlin (DFFB) from September to May each academic year, with visits to Copenhagen, London and Paris. Applicants must be professional TV writers from the European Union, Iceland, Liechtenstein, Norway or Switzerland.